Antonio Masi is the president of the American Watercolor Society and International renowned painter. The goal of this workshop is to show the untapped power of watercolor. The focus will be on how to approach this medium from a contemporary point of view, powerful, emotional and delicate, not the traditional transparent way it is looked upon. Antonio applies watercolor in a thick and juicy manner, giving his subjects a startling boldness. Learn how attention to details and unusual perspective make for poetic, moody works with strong textural qualities. Antonio’s presentation will show the materials he uses (paints, paper, palette, brushes, etc. ), his set-up and how he applies colors. 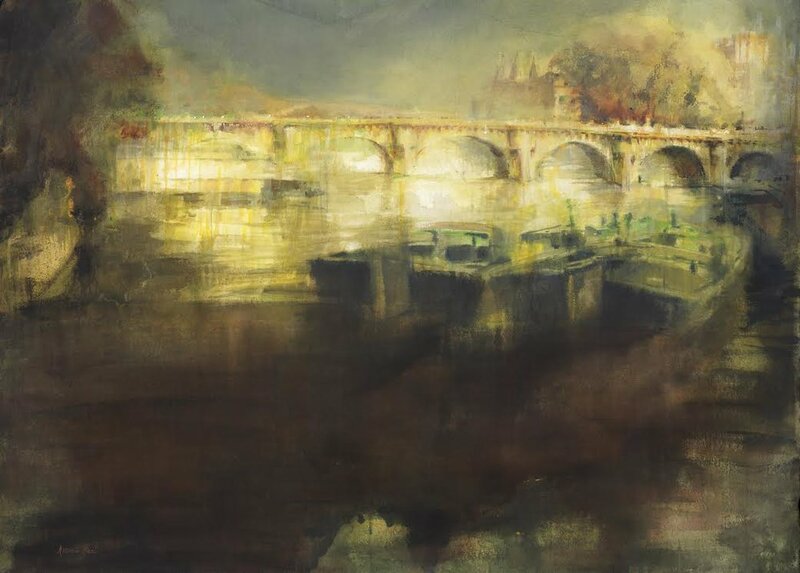 Although he is known for his bridge paintings (he will demonstrate different subjects), his approach is suited to any subject. He will do a demonstration in the morning, while students watch and ask questions. The remainder of the day will be one-to-one instruction. He hopes this will give an insight into his technique. The aim is for each student to discover and be inspired to find his or her own style. Click here to view a complete supply list. Students must arrive the first day with their supplies.